Danny Wood and Joey McIntyre will be running in the 2014 Boston Marathon! Danny is raising money for 3 charitable organizations: Remember Betty, Boys & Girls Clubs of Dorchester and The Mark Wahlberg Youth Foundation. You can donate online here. Joey started a new blog about the marathon here. 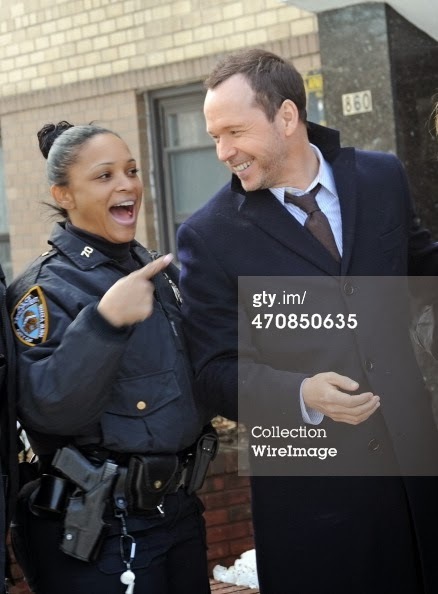 Check out some recent photos of Donnie on the set of Blue Bloods here. Remember Betty will become an independent foundation this year. Check out the letter from Danny here. Boston Magazine posted some screen captures of Volume 1 and 2 of Donnie Wahlberg’s "Twitter Dictionary". You can watch this past week's episode of Wahlburgers called "Sibling Rivalry" online here.